A tooth challenges beliefs about how ancient reptiles lived. At the start of the age of the dinosaurs, gigantic reptiles- distant relatives of today’s crocodiles- ruled the earth. Some resided on land and others in water and it was considered that they didn’t interact much. But a tooth discovered by a University of Tennessee researcher in the thigh of one of these ancient animals is challenging this belief. Stephanie Drumheller, an earth and planetary sciences lecturer, and her Virginia Tech colleagues Michelle Stocker and Sterling Nesbitt examined 220-million-year-old bite marks in the thigh bones of an ancient reptile and found evidence that two predators at the top of their respective food chains interacted- with the smaller having potentially eating the larger animal. The evidence? A tooth of a semi-aquatic phytosaur wedged in the thighbone of a terrestrial rauisuchid. The tooth lay broken off and buried approximately two inches deep in bone and then healed over, showing that the rauisuchid, a creature of approximately 25 feet in length and 4 feet high at the hip, survived the initial attack. In order to study the tooth without damaging the bone, the team partnered computed tomographic (CT) data with a 3D printer and printed copies of the tooth. This, as well as an examination of the bite marks, unveiled a story of numerous struggles. The team discovered tissues surrounding the bite marks illustrating that the rauisuchid survived two attacks. Evidence of crushing, impact and flesh-stripping but no healing indicated to the team that the animal died in another attack. The tooth left behind revealed the identity of the attacker. 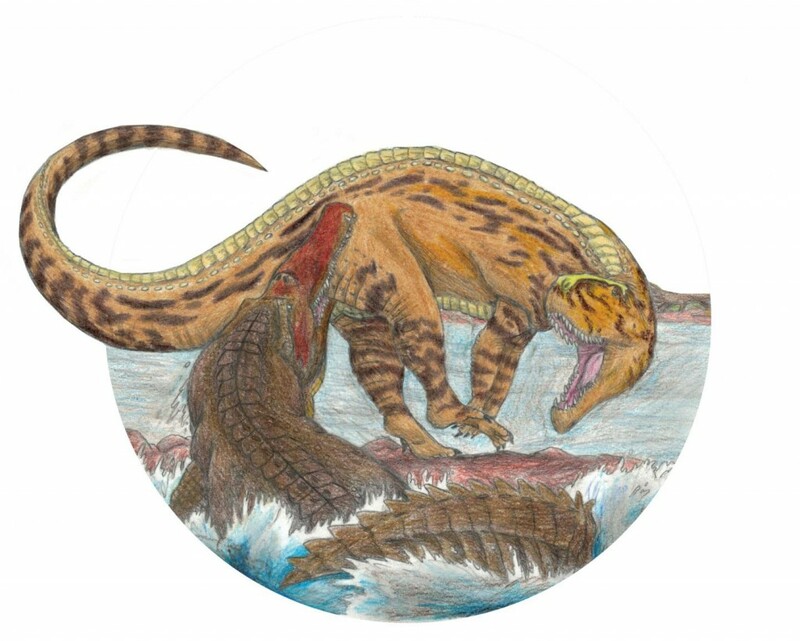 The findings also suggest previous distinctions between water- and land- based food chains of this time, the Late Triassic Period, may be built upon mistaken assumptions made from fossil remains. The research also questions the importance of size in a fight.